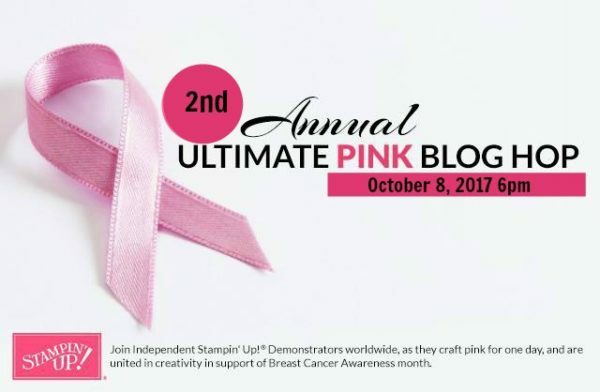 Welcome to the 2nd Annual Ultimate Pink Blog Hop – a collection of ideas from Stampin’ UP! demonstrators all over the globe featuring shades of pink in honor Breast Cancer Awareness Month. I was decided to join this hop. For years, I have never been effected by breast cancer personally. Then a couple of years ago, I first a lump in breast. I was really scared and I wanted to ignore it especially since I wasn't in the age category of developing breast cancer. I went to the doctor anyway and I got a mammogram. Luckily for me, it was nothing more than a cyst, but for some people, the news can be devastating. I think it's important to spread the importance of getting your yearly mammogram since it's likely to be caught early if you do. For my card, I finally got the chance to the Ribbon of Courage Bundle, which was designed by Patty Bennett. 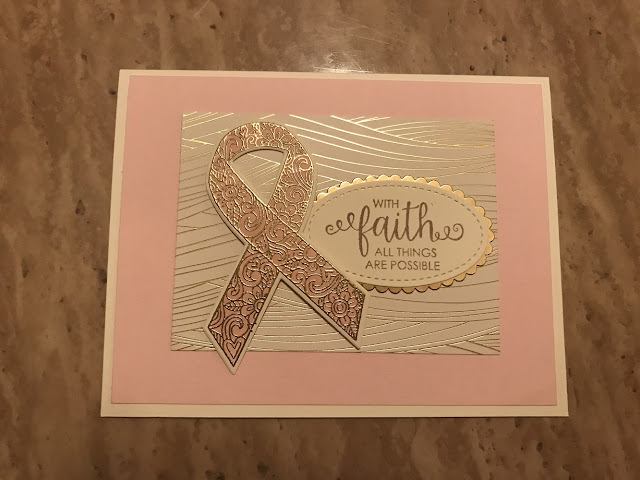 I stamped the detailed ribbon using gold embossing powder and colored in the image with the pink pirouette stampin write marker. The sentiment is stamped in crumb cake ink and die-cut with the stitched oval framelits and layered onto a gold foil oval framelit. I hope you enjoy today's project! Don't forget to hop along with us! Beautiful card Candice!! Thanks for sharing! Sweet and simple. I love that! Pretty pink and gold card.